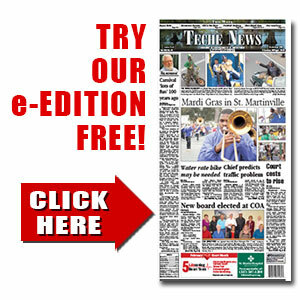 Football field bids slightly over budget | TecheToday.com | Teche News | St. Martinville, La. The installation of artificial turf and track refurbishments at Breaux Bridge and Cecilia high schools are faced with minor delays following the opening of bids on the projects last week. But a separate bid on site preparation for a completely new football facility for CHS was approved by board members. JC Construction LLC was awarded a $2,025,735 contract for the new Bulldog stadium which will include the filling in of the school’s old oxidation pond and related dirt work, drainage improvements, stadium bleachers, a press box and lighting. The new field will be located behind the school’s main administrative building. The company’s low bid includes the installation of LED lighting which engineers say draws only 20 percent of the electrical power of conventional lighting. However, the board rejected bids on work that will provide artificial turf for the new field and for the old Breaux Bridge High field and new track surfaces at the two schools. The lowest bid received was still above the $4.2 million budgeted for the work. Jim Poché with Poché Prouet Associates LLC, the firm which oversees the dozens of capital improvement projects being funded with bond proceeds, said he was confident some modifications in the plans would result in new bids below the budget. Even with the delay, the new turf is expected to be ready for the 2018 football season.